Rajiv Lall, chief executive of Infrastructure Development Finance Corportaion Ltd, believes that Indian borrowing to build power infrastructure has rebounded and is likely to expand rapidly. State run KPCL and engineering giant L&T sign a joint venture agreement to build two coal-based thermal power units at Godhna in Chhattisgarh. State-owned power generating company Karnataka Power Corporation Ltd (KPCL) and engineering giant Larsen & Toubro today signed a joint venture (JV) agreement for the 1,600MW (2X800MW) coal-based thermal power project at Godhna in Chhattisgarh, reports PTI. "Most of the clearances have been obtained and land acquisition (in Chhattisgarh) is in progress," chief minister BS Yeddyurappa said at the signing ceremony, attended by L&T chairman and managing director AM Naik. KPCL officials said the Chhattisgarh government has allotted 1,260 acres to KPCL for the project. The chief minister said the Karnataka government is not blessed with coal, gas or oil and so the government took initiatives to approach coal-rich Chhattisgarh to put up a super-critical (energy efficient and environment-friendly) thermal plant there. Mr Naik said L&T is in discussions with the Karnataka government to participate in various infrastructure projects in the state. Kya aap AMFI pass se tez hain? There is a major anomaly between the examinations conducted by the Association of Mutual Funds in India (AMFI) in the metros and in smaller towns and cities. The test administered to financial advisors seeking AMFI certification by the Bombay Stock Exchange (BSE) and the National Stock Exchange (NSE) is conducted in a professional manner; but in tier-2 and tier-3 towns, it is a different exam—literally. NSE and BSE conduct the examinations online wherein each examinee gets a different question paper. This leaves no scope for cheating. However, in tier-2 and tier-3 cities, online tests are not available. So brokerage house NJ India Invest and UTI Institute of Capital Markets (UTIICM) conduct a manual written examination every two or three months in a nearby school or college. Just like a higher secondary school exam, the AMFI question papers are sealed in a pack. Each candidate gets the same paper. Many independent financial advisors (IFAs) say this leaves scope for cheating, particularly because the questions are close-ended and the examinees just need to tick the right answers. “There is no sanctity to AMFI exams. People in the industry say that if you want to pass the AMFI exam, become a sub-broker of NJ India. There are people who can’t speak English but have passed the AMFI examination easily,” said an IFA. An email query sent to NJ India remained unanswered. AP Kurian, chairman of AMFI, also did not revert to a query by Moneylife. What’s more, the test syllabus is not updated with the latest developments in the mutual fund industry. “It may well happen that if you give a right answer, it would be marked incorrect because the AMFI book is not updated. AMFI expects candidates to write what is mentioned in the book, even if it is wrong,” said a mutual fund distributor. “It (the test) needs to be improved drastically to cater to very basic knowledge of financial planning or advisory requirements. It should be made a little bit tougher to limit the number of people who can become financial advisors. But if it is made very tough, it would be difficult to get more advisors. It is conducted efficiently in the metros, but it should go online in tier-2 and tier-3 cities,” argues Rajesh Jha, CEO, Jain Investment. There are also certain anomalies between the application forms of NSE, BSE and AMFI. While NSE and AMFI do not require candidates to attach proof of residence, the BSE form mentions that it is mandatory. The NSE and AMFI application forms require only a copy of the candidate’s PAN card as proof of identity. “We do the certification for AMFI. They (AMFI) have never insisted that we should collect residence proof,” said an NSE official. pl without full info dont blame NJ india. As i am associated with it from last 3 years. i have not noticed such practise from NJ. NJ is providing the platform to go ahead in MF business. Not claiming that it is the only way to clear AMFI test. I think Moneylife people have to rework their source of information. personally i don't agree with moneylife and y NJ should worry 4 this kind of cheap writing ,that to with out any proof. NJians r highly professional and growth oriented people. author should come up with proof ,if s/he has any proof on his article. YES, THERE MUST BE ONLINE EXAM. ALLOVER INDIA. I have passed AMFI exam thru training conducted by NJ Fundz. The training is ethical training and gives more knowledge and required skills to understand the mutual fund industry in India. If someone who cant speak english has passed the exam then it is the onus of the examination body to look into the matter. One simply can't say that NJ is express highway route for clearing the exams. As NJ only provides the required training and support and has no control whatsoever on the body conducting the exams. So why should go ahead to blame NJ ? Can't the press write about the body conduting such exams ? I am associated with NJ from last 4 years and i have no dobut about NJ's Ethics. It is the most transperant organisation i have ever seen. Agreed in toto. The factual part is how many of the participants actually take pains of going thru the entire course book.may be 2-3%, rest of them would parrotise the the question bank which is forgotten once out of the exam hall. The book is an ocean of knowledge in its present condition also. If one has to bring to practice even 50-60% of the knowledge in the book (leave the last 30% of the book which is dedicated to the functionality and legal framework which can change from time to time), i still feel we could have a better quality of advisors. in present form they are just form pushers who are in this business just because there was money there (thanks to the current changes they would now think twice the business dynamics has changed). So this is the state of affairs and people are blissfully looking other side Why do we forget that this involves someones hard earned money and your investor is looking for atleast some level of advisory to help him reach his goals. With the current levels we can only find a bulk of the advisors(so called) have willfully put a lot of money down the drain. The AMFI exam does not add much value, not updated as frequently as it should be. They last updated in 2006 after a long gap! Why ? There have been so many changes in the way the fund industry now works, so why haven't they bothered to update the exam ?? The AMFI exam does not add much value, not updated as frequently as it should be. They last updated in 2006 after a gap of five years! Why ? There have been so many changes in the way the fund industry now works, so why haven't they bothered to update the exam ?? I am a partner working with NJ India. The above comment is totally false. NJ India conducts training program to help students to pass AMFI exams. But there is no cheating being done. I have passed my exam myself. The person writing the above comment must first have some proof before commenting on any organization. I am associated with NJ for long time now. Ur comments reg. NJ India makes no sense because NJ appoints anybody as Sub-broker only after the candidate clears AMFI exam. They do help candidates by providing 2 Days training with right Ethics and proper knowledge. I gave my AMFI exam manually in Mumbai and there were candidates with me from NJ who were appearing for 2nd and 3rd time. So if one thinks that if you become a Sub-broker of NJ, you'll clear AMFI exam is totally wrong because if you clear AMFI exams then only you can become NJ Partner. Just because they help candidate prepare for exams, they should not be targeted with cheap alligation. If online test is not available in tier II & III cities it is not the problem to NJ, AMFI themselves are to be blamed for this and not NJ. "Please gather ur facts first and then distort them as much as u want"
The writer of this article was definitely made a serious statement against NJ India. NJ can not be questioned for its integrity towards the nation's economical affairs. This writer definitely made a wilful wrong statement. NJ India will be the world's no:1 financial advisor group when India become a developed nation. Those who are associating with NJ India already feeling this great process. I cordially invite this writer to join NJ India to become a proud partner to achieve financial success of country. We are trying to educate the Indian mass to live in such a situation which is totally unknown to Indians currently. There is an old saying, spit on a person and go away, only that person has to wash his face while the one who spit goes away scot free. An extremely irresponsible statement by the concerned IFA, more so included in the article by the author without verifying facts which is really a sad statement on moneylife's journalistic abilities. 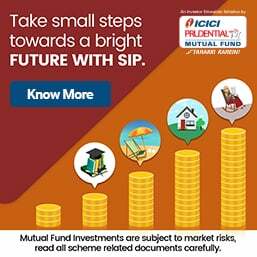 I am a partner with NJ and my association with them is in the 5th year.The way NJ gives the training for the exam, training for conducting business and the overall role in spreading awareness about mutual funds in this still nascent market has to be praised and commended rather than spread such false stories. 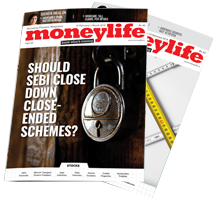 Request Moneylife to verify facts in future before putting up such articles. It is very unfortunate that IFA's are blaming NJ.I am also a NJ sub-broker & passed AMFI with 78 marks.I will give all credit to NJ's training module.NJ provide very good training for AMFI test.Also there is no relation between speaking English & AMFI test.You have to understand the English language to pass the AMFI test.English is a foreign language & it is very unfortunate that we give importance to English& in tier 2 & 3 cities most of the clients cannot understand English.If you have surrounding of people who always speak English then even a illiterate man can speak very good English.So please keep in mind that English is just a language like Gujarathi,Kannad etc.So it is more important that Advisor should understand English rather than to speak English.So he can give proper advice to his client in local language.